Film maker and photographer Erik Kantar has hitchhiked around Iceland three times. He stayed for two weeks on the first trip, a month for the second and the third and last trip was only five days. “I’ve hitchhiked across the entire country through the south and up to the north and through the west as well,” says Erik. He’s a big fan of Iceland and is grateful that he decided to hitchhike his way around the rugged landscape. Erik is totally smitten with Iceland. “I’ve never had any scary experiences. I’ve met some beautiful, genuine people. Every single person I’ve met has been wonderful in their own way,” he says and adds that the weather didn’t dampen his spirit one little bit. Erik enjoying the Icelandic landscape. Erik has fallen head over heels for Iceland and is currently working on a documentary about Icelandic sheep farmers. Since he is such a fan of hitchhiking, I had to ask him for some tips for others eager to make use of that mode of transportation. “Patience!! And be smart about where you decide to stand and wait. If you aren’t waiting in a safe place for cars to pull over, no matter how nice a driver may be, he/she will not pull over for you. Try to make it as easy as possible for drivers. I’ve had good success outside gas stations,” he says. Be smart about where you stop, says Erik. What about his favorite places in Iceland? Any areas that stand out for this young and ambitious film maker? I also wonder what the appeal is for Erik, since he’s visited Iceland three times already. “In Iceland, the people are incredible resilient. Their ancestors have survived through some of the hardest natural conditions any civilization has ever seen and the sheep has been a huge part in that. The beautiful part is that nothing changed. The Icelanders farm and follow traditions very similar to their original people. The history and culture is rich, and to be able to see that is inspiring. To be able to witness and capture this is an honor,” says Erik, who has his heart set on visiting Iceland again in the near future. Erik will definitely return one day. Look out for this lovely chocolate bar! One of the most magical places in Iceland. Great chance of northern lights and good beats! 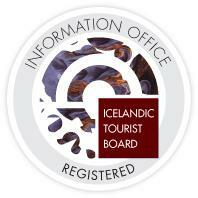 Propose Iceland is a newly established event planning business.